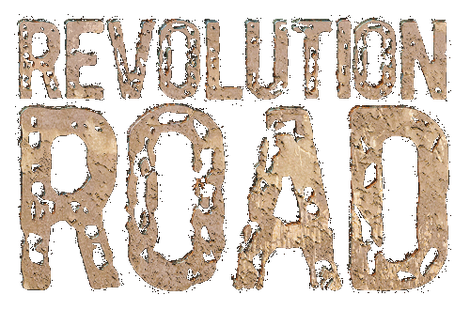 REVOLUTION ROAD is a project, born from chatting of producer Alessandro Del Vecchio (Edge Of Forever, Hardline, Lionville, Fergie Frederiksen) and Gregor Klee (Avenue Of allies label owner). They two were talking about some of their favourite singers who haven't release new material during the last couple of years. One of the names that came up in two Classick Rock fans' mind at that moment was Stefan Berggren, who has a distinctive sound of the voice. The result of the project with having Stefan Berggren, will be released as the self-titled album through Avenue Of Allies music on November 22nd 2013. The album features such fine set of musicians as Stefan Berggren (former lead singer of Snakes In Paradise, Company Of Snakes), Alessandro's writing partners Paul Logue (Eden’s Curse), Carmine Martone, Francesco Marras, Francesco Jovino (U.D.O., Sapphire Eyes, Hardline, Skill In Veins), Alex Beyrodt (Voodoo Circle, Sinner, Primal Fear), Stefan Jonsson (former Sankes In Pradise), Thomas Jakobsson (former Snakes In Pradise) andMarcus Jidell (Royal Hunt, Dougie White, Alfonzetti). The final song selection, made by executive producer Gregor Klee, for all lovers of Classic Hard Rock with a touch of Melodic Rock and AOR. 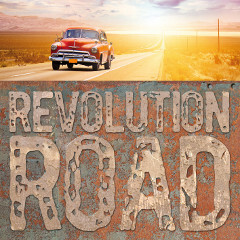 The recording debut of REVOLUTION ROAD with its magnificent production of a terrific variety of songs and the more than solid musical performances by seasoned players is the very welcome return of Stefan Berggren, a high class Rock shouter, who is finally back with an album that will convince any Rock fan.